Bodegas J. A. Calvo Casajus is located in Ribera del Duero. It is owned and operated by its namesake, Jose Alberto Calvo Casajus. It is literally a one-man operation with Casajus also doubling as his village’s baker. 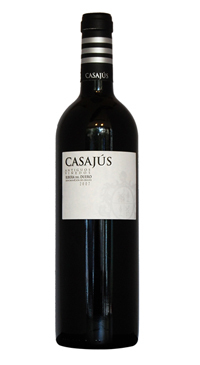 Produced from 100% tempranillo, this wine shows rich aromas with hints of minerals, blackberries, spice and licorice. Cherry and raspberry play into full tannins and a long finish. *All prices include applicable taxes and bottle deposit.